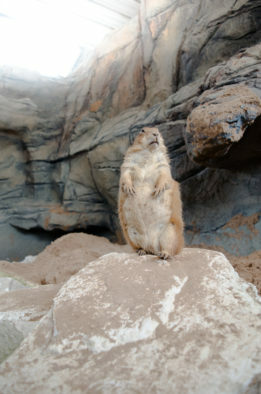 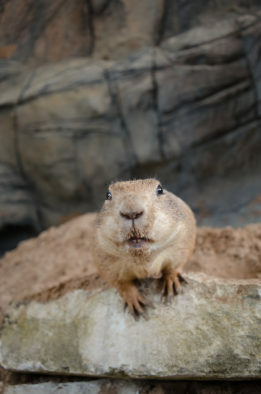 Prairie dogs are burrowing rodents that live in large colonies in the grasslands of central and western North America. These social rodents live in underground burrows called “towns.” When these towns are undisturbed, there can be tens of thousands of prairie dog residents stretching for miles on end! 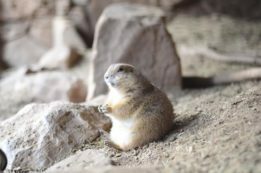 Their underground tunnels and chambers include a designated nursery, sleeping quarters, toilet, and places to listen for danger near exits and entrances. 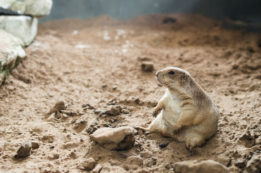 When danger is near, prairie dogs will cry loudly. This communication system warns the members of the town that danger or predators are near. They will also signal with danger has passed. Prairie dogs eat grasses, roots, seeds and other leafy plants. 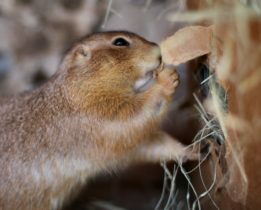 Tall plants are destroyed by their eating patterns. This creates a clearing that makes it difficult for predators to sneak up on the towns. 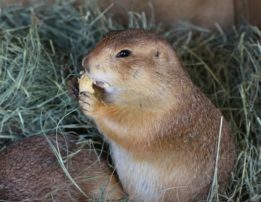 Prairie dogs are diurnal and spend much of the day looking for food, especially because they do not store food in their burrows. 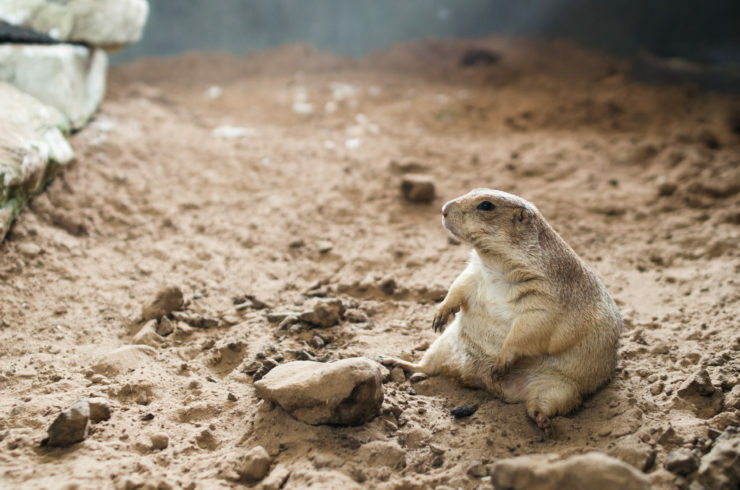 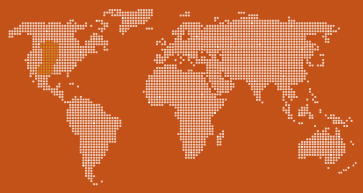 In 1990, a prairie dog town the size of Maryland was found in Texas! 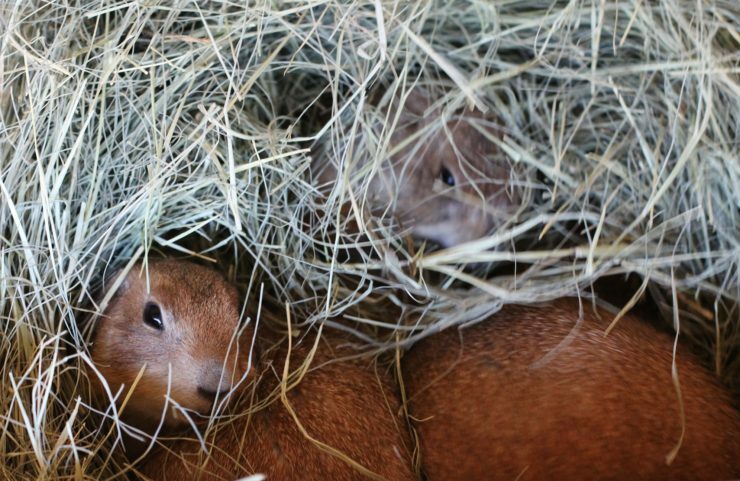 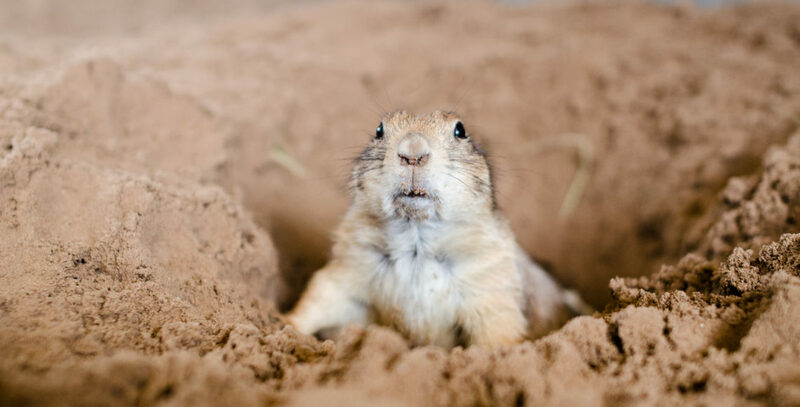 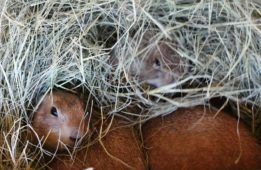 Studies suggest the town contained near 400 million prairie dogs within the tunnels.